Disagreements about the operational processes of the partnership, that is, the way things are supposed to be done. Mismanagement or poor execution, perceived or actual, by one or more of the partners. In some circumstances, the partners are simply unable to get along, even when they were compatible outside of the business. Partnership disputes where the partners own equal shares of the partnership can present real trouble for the future of the partnership. When each partner owns equal shares but they cannot agree on an important business decision, the may be unable to move forward. The result is an impasse. The partnership is deadlocked. A protracted deadlock that affects day to day operations can put the business at risk of failing. 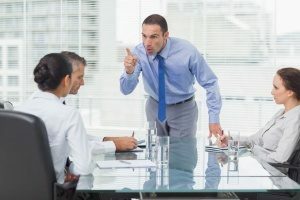 If you are involved in a dispute that you believe is serious enough to put the business at risk, you should consult with an attorney who is experienced in dispute resolution. 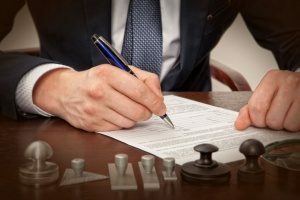 Involving an experienced attorney early in the dispute will serve you well. An expert in litigation and dispute resolution can provide you with recommendations for an effective way forward outside of the courtroom, enabling the partners to resolve the dispute. No matter how difficult resolving your dispute seems to be, it need not end up in litigation. Despite what you see in the movies and on TV, litigation should be your last resort for many reasons. You may know from experience that litigation is the most expensive, most unpredictable, and least desirable option. The costs of litigation are nearly impossible to predict and can drag on for years. It will put pressures on the partnership and the disputing partners that could easily put them out of business. With litigation, the outcome is unpredictable even when the law is entirely on your side. Your business is your priority. Your goal should be to resolve the matter and get back to running your business. Litigation is a major distraction, especially if the partnership or business is at stake. And, as previously noted, it can go on for many years. As is the case in resolving any conflict, resolving shareholder and partnership disputes should begin with informal discussions and negotiations. Though they may be difficult, candid and honest discussions will help air all of the grievances and identify the true root of the dispute. You must do your best to keep the emotions in check. Before entering these discussions, review your partnership governing documents to determine what, if any, dispute resolution mechanisms apply if the discussions fail. Being aware of them may help clarify the disputing parties’ positions on various issues. If informal discussions failed to resolve things, your partnership or corporate governing documents may provide direction. Well-drafted governing documents will provide a mechanism for dispute resolution. Frequently, they will require a formal vote of the partners or shareholders at a meeting properly noticed. For certain issues, a supermajority vote may be necessary. If the vote results in a deadlock, or the governing documents are silent or vague, your next step is to review the applicable state law governing your partnership or company. State law may dictate the resolution, or it may dictate the appropriate process for resolving shareholder and partnership disputes. If you are still unable to reach a resolution, you and your disputing partners or shareholders may agree to submit the dispute to non-binding mediation or arbitration. In mediation, a professional mediator acts as a “go-between” who will go back and forth between the parties to achieve a resolution. Usually, a confidentiality agreement is required, and the disputing parties retain significant control over the negotiation. Using this process, you may be able to negotiate a creative resolution that is tailored to your business needs. Another form of alternative dispute resolution is arbitration. In arbitration, a neutral third-party serves as the arbitrator, a role similar to that of a judge. The disputing parties present their positions and the arbitrator makes a decision. In complicated disputes, the parties may use a combination of mediation and arbitration by starting with mediation, which can help narrow the issues in dispute, and then completing the process with arbitration. 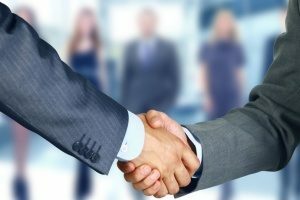 When you find yourself in a serious dispute with a partner or shareholder, you need the help of an experienced dispute resolution and litigation attorney. The earlier you consult with a knowledgeable attorney, the more successful you are likely to be in achieving a satisfactory outcome. Analyzing the governing documents under applicable law and advising you on all of your available options. Developing a winning negotiation strategy to break the impasse. Guiding you through the process to minimize mistakes that will hurt your chances of success either in dispute resolution or in future litigation. You need to protect your assets and yourself by contacting one of our litigation and dispute resolution attorneys that is experienced in resolving shareholder and partnership disputes today.